This volume brings together the vital contributions of distinguished past and contemporary philosophers to the important topic of personal identity. 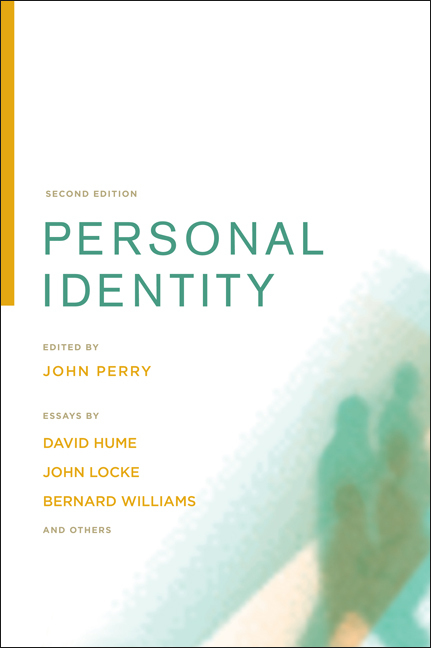 The essays range from John Locke's classic seventeenth-century attempt to analyze personal identity in terms of memory, to twentieth-century defenses and criticisms of the Lockean view by Anthony Quinton, H.P. Grice, Sydney Shoemaker, David Hume, Joseph Butler, Thomas Reid, and Bernard Williams. New to the second edition are Shoemaker's seminal essay "Persons and Their Pasts," selections from the important and previously unpublished Clark-Collins correspondence, and a new paper by Perry discussing Williams. John Perry is Professor of Philosophy at Stanford University, co-host of the award-winning radio program "Philosophy Talk," and author of many books including Knowledge, Possibility, and Conciousness and Identity, Personal Identity, and the Self.